It seems that this summer is going be very crucial for Arsenal. Big changes must happen if Arsenal is going to become competitive again in Premier league and Champions league. And although the squad is actually bursting with players that possess lots of talent, it is also filled with many that have failed to prove their ability to play at the highest level which is demanded at Arsenal. The biggest problem is Arsene Wenger probably, who is loyal to his players to the point of stubbornness. But, whether he likes it or not, the end of the road has come to some of the players, and here we have selected at least 4 that have to find someplace else to prove their worth. Does anyone remember Joel Campbell at all? Campbell’s inability to obtain a work permit for most of his contract with Arsenal forced Wenger to let him on continuous loans at different teams. The only season he managed to play in Premier league was in the 2015/16 season. But even then, failed to impress. He didn’t live up to the expectations although the anticipation was high thanks to his ingenuity when on the ball, great creativity, ruthless streak in front of the goal and sharp movement in the final third. But, it’s time to let him go. Wenger’s style of possession-based football has been replicated with the help of many good quality wingers that have the freedom to roam, link up play, and drift inside. 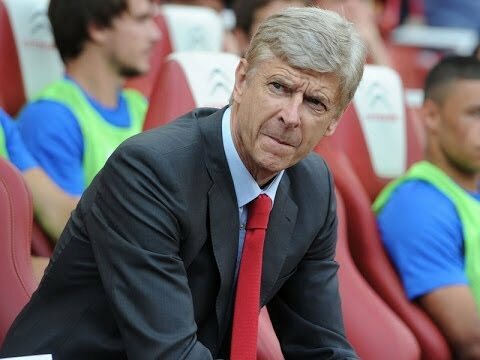 But, after Bacary Sagna left for Manchester City, and Debuchy was brought as his replacement, Wenger’s style has suffered. Considering Debuchy is 31 and has suffered an injury with long-lasting issues, he is most probably packing his suitcase as we speak. Just like Debuchy, Carl Jenkinson has failed to live up to the expectations as a winger in Arsenal. His fame as a promising younger from Charlton Athletic is gone, and now he is one of those players that could have been great at Arsenal. Despite the fact that he was impressive while on loan at West Ham, his time as a Gunner is probably over mainly due to a crisis of confidence. The need for a mobile midfielder like N’Golo Kante that can break up play and instigate attacks is a great one. The defensive midfielder position is one of the most important on the football pitch as evidenced by the success of many teams. This position is even more important in Arsenal where midfielders that can keep possession and are technical are a top priority. When he arrived at the Emirates many would bet that Wenger finally found a solid player for this position, but Francis Coquelin is not that defensive midfielder. A lack of Wenger’s choices many used as latestbettingsites.co.uk to take an advantage of the solid odds on/against Arsenal and to earn some extra. Coquelin enjoyed a year and half in the DM role and formed a partnership with Santi Cazorla that seemed prosperous. However, this season Coquelin had many individual errors, showed lack of positional discipline and had shortcomings on the ball. This makes him a perfect candidate for leaving Arsenal during the summer to be replaced with a more inspiring defensive midfielder.